Apr 27, 2019 at 12:00p.m. - Apr 27, 2019 at 03:00p.m. We have partnered with Kaiser and the Livermore-Pleasanton Fire Department to get everyone ready for a fun, safe summer at the pool! 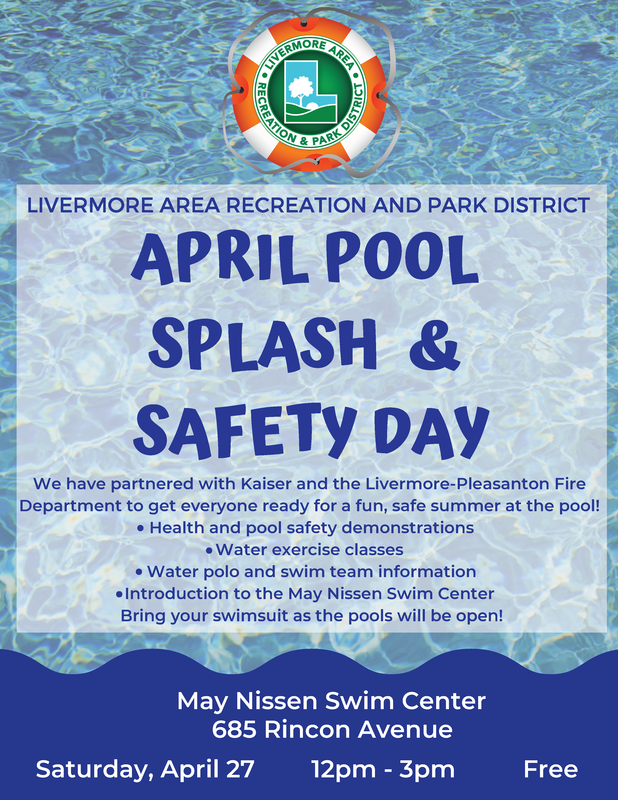 This FREE, all-ages event will be hosted at the May Nissen Swim Center where we will have: health and pool safety demonstrations, water exercise classes, water polo & swim team information, games, activities, and giveaways! Bring your swimsuit as the pools will be open!